WHAT IS YARINAA FOUNDATION ABOUT? We receive donations from people around the world. Most of our donations come from people who also give us the motivation to do more. HOW MANY ORGANIZATIONS/COMPANIES SUPPORTS THE FOUNDATION PROJECTS? We have few companies supporting the project. We do welcome any organization or company that wish to support or partner with us to make this school building project a success. 1. Donations can be made to us online to our PayPal account. 2. Donations can also be made to us through MoneyGram and Western Union Money Transfer. Click here to contact us if you wish make a donation through MoneyGram or Western Union Money transfer. 3. If you wish to donate to us via other payment system click here to contact us. Any amount of donation made to our Foundation will help to build the school for children. Kindly click here to view our donation rewards list. I WOULD LIKE TO DONATE IN MEMORY OF A FAMILY MEMBER. HOW DO I GO ABOUT DOING THIS? Memorial donations provide you with the opportunity to send a special print or electronic card to let the family know that a donation has been made in their memory. Click here to contact us for Memorial donation. WHAT BENEFITS ORGANISATION,COMPANIES AND BUSINESS CAN GAIN FROM SUPPORTING/PARTNERING WITH OUR SCHOOL BUILDING PROJECT. Apart from been seen as fulfilling your organization, company or business social responsibility, we will also help promote and advertise your products and services on our website if your products or activities does not violate international laws or abusive to children rights,emotions and physical development. WHAT IS THE HIGHEST REWARD I CAN RECEIVE FOR DONATING? CAN I DONATE EDUCATIONAL MATERIALS? You are welcome to donate educational materials and learning tools to us. Click here to contact us if you wish to donate Educational materials or learning materials to the Team. 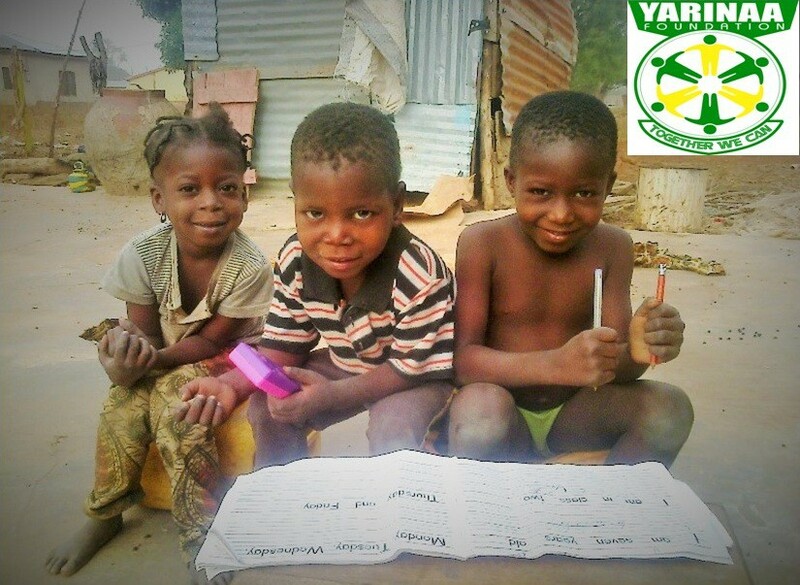 I WISH TO JOIN THE YARINAA FOUNDATION TEAM. Contact us if you wish to join the projects team. DOES YARINAA FOUNDATION TRADE, SELL OR RENT DONOR INFORMATION? No, the Project Team does not exchange in any way, shape or form donor information. We value the support of our donors and do not believe in providing this information to others. Click here to contact us if you have further questions.